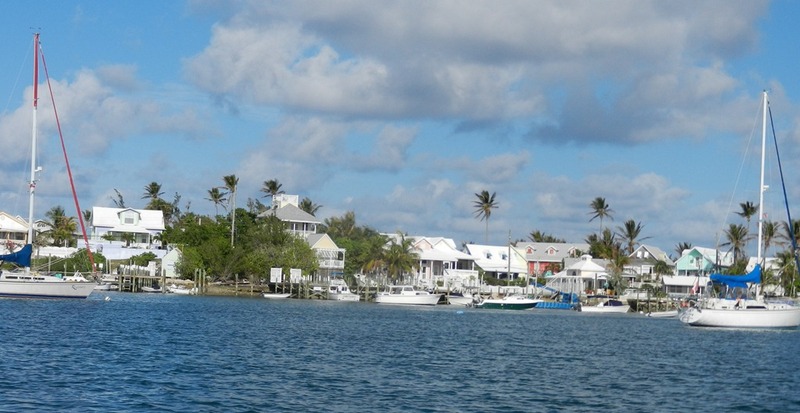 Hopetown isn’t just a lighthouse and harbor. It’s a real community. Hopetown was originally settled in the 1780’s by Loyalists and their enslaved Africans, who came from New England and the Carolinas. The goal was to create a new country that would rival the recently independent colonies. That never happened. Various enterprises over the years, such as growing sea cotton, sponging, and ship wrecking, had brief success, but, with the exception of boat building, were never sustainable long-term. Now, tourism, including catering to second-home owners, supports the community. There are several hundred year-round residents, but many cottagers and boaters, whether owners or renters, return every year for months at a time. Prime tourist season is from March through July. The “roads” are just cement sidewalks; they were built as such, long before cars appeared on the island. And there are pathways everywhere. Here is the fire department. Although golf carts and bicycles predominate on the island, motorized vehicles are not allowed in town without special permission, such as for the water truck and police car; and they are restricted to, maybe, two miles an hour as walkers clearly have priority. Here is one of the two grocery stores – it has its own dock as many shoppers arrive by boat. Vernon’s, the other grocery store, offers freshly made coconut and key lime pies. Both stores have wonderful locally made breads. 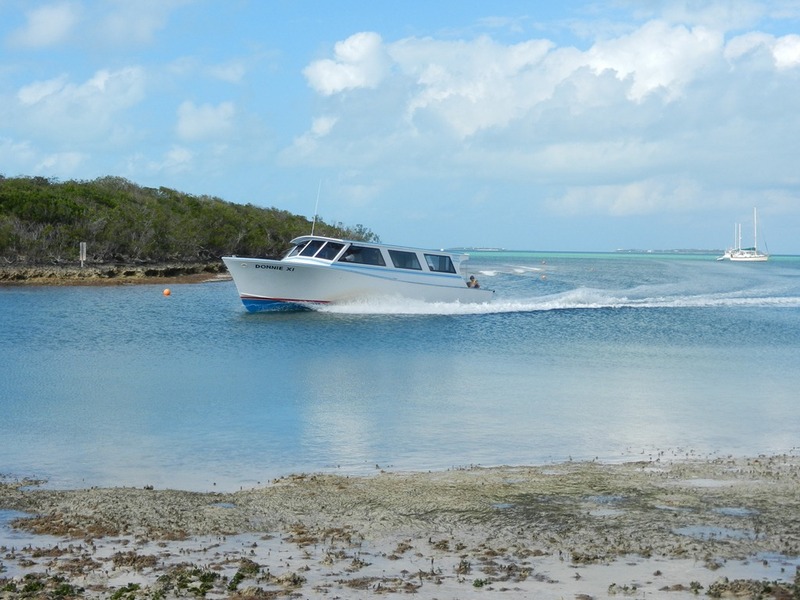 The fish boat comes in every Friday about 2:00 p.m. to the Post Office dock, with grouper, wahoo, snapper (depending on the season), conch salad and (sometimes) lobster. The line-up starts half an hour before the boat even arrives. Today I scored lobster and grouper. 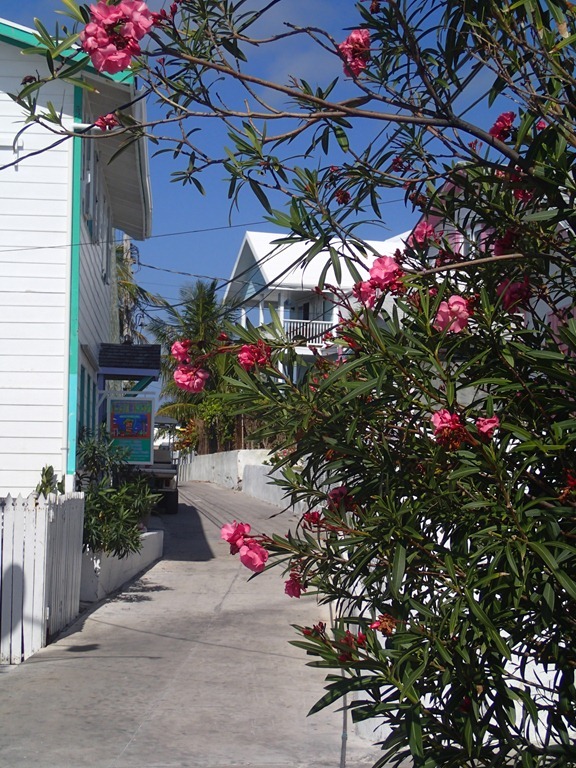 Hopetown has fun restaurants: on the harbor, on the beach, and at local hotels. There is even has a wine bar and a coffee house. All of these are used as places to congregate and meet friends. There are no mega resorts, cruise ships, big businesses or factories. There is also no crime. You can do yoga or pilates on the beach to the music of the surf. Actually, we lay our mats on the porch of a local church which is on the beach. 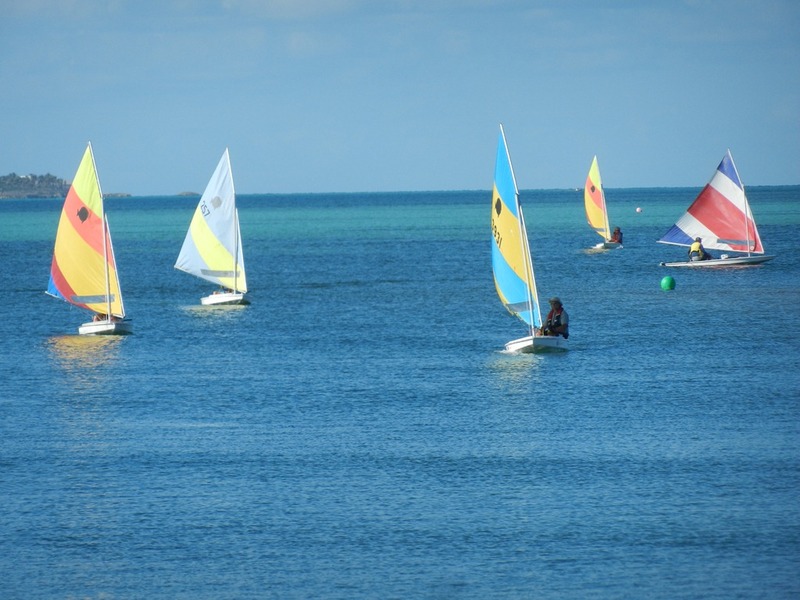 You can buy ice cream cones, post a letter, rent bicycles or golf carts or snorkeling gear or even a boat. Or go to a fancy women’s luncheon with interesting speakers and even more interesting food. 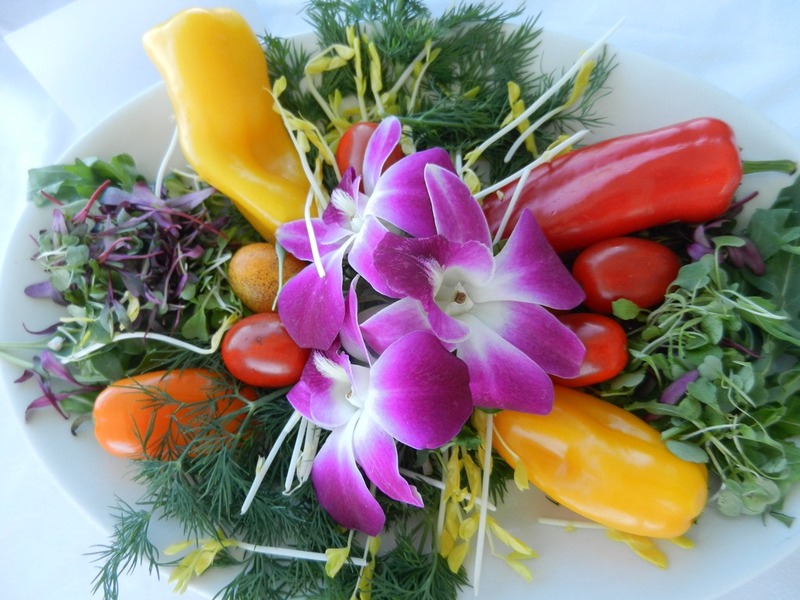 These centerpieces were all edible and locally grown. Cap’n Jack’s hosts trivia and bingo nights, (the cards say “JACKS”, not “BINGO”), and afternoon bridge. 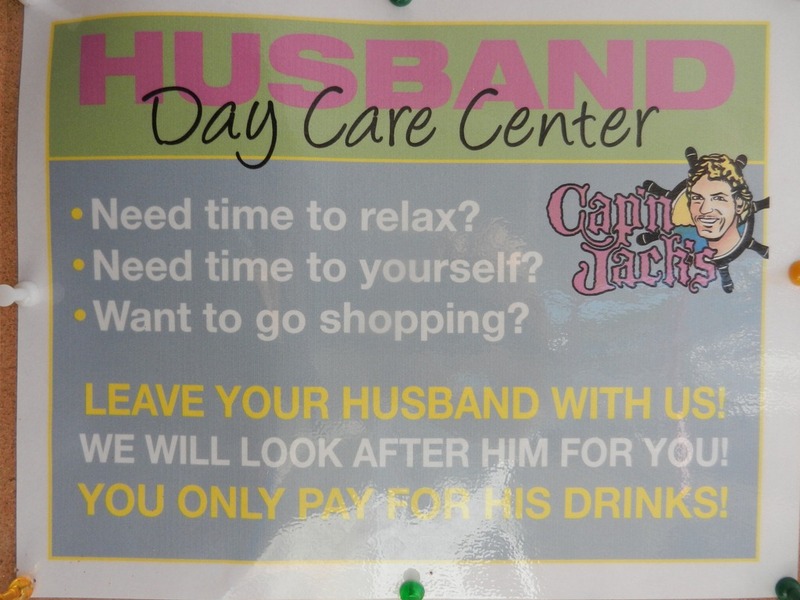 They will even babysit your husband. 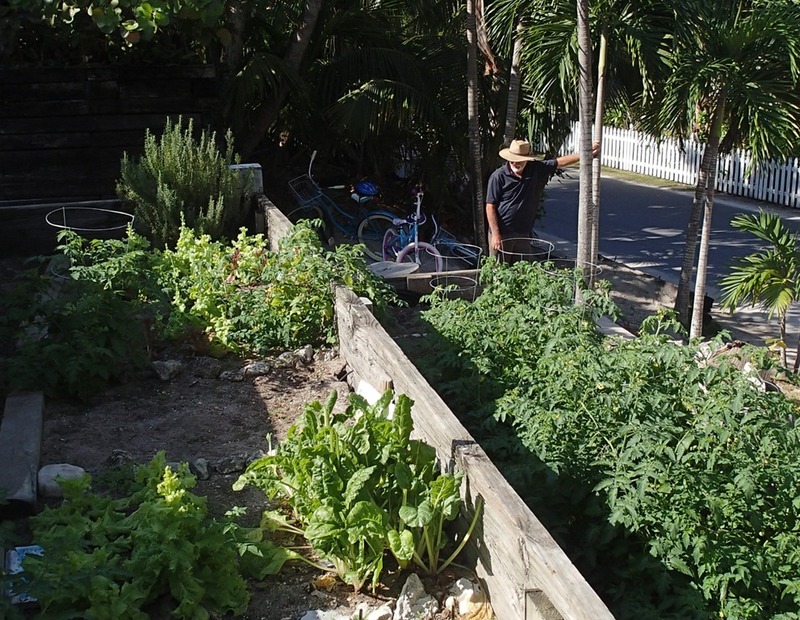 The local school has a garden which it makes available to everyone – donations requested – with great lettuces, chard, basil and cilantro. Albury’s ferry boat (Donnie II, III, IV, etc. 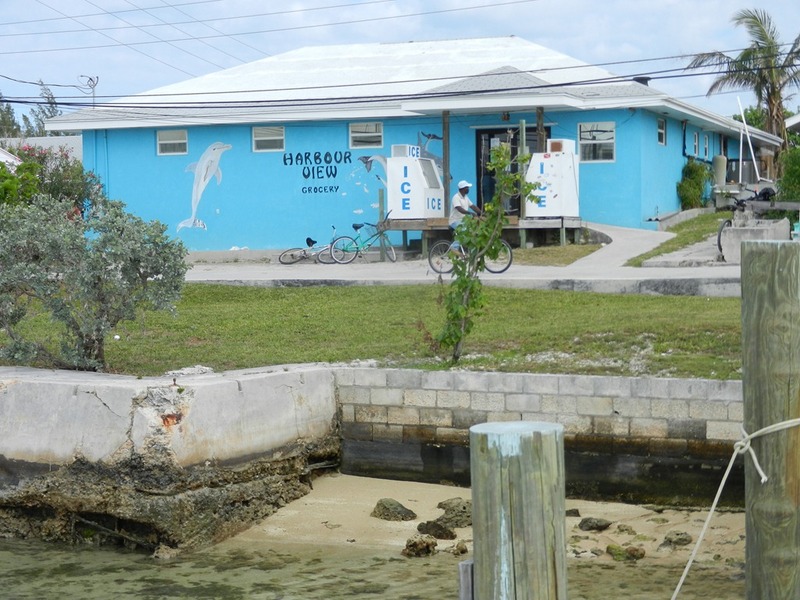 ), comes from Marsh Harbor, the nearest large city (referred to as “on the mainland” even though it’s really on Great Abaco Island), several times a day, delivering locals to their jobs, bringing students home from school, and transporting tourists with their luggage. 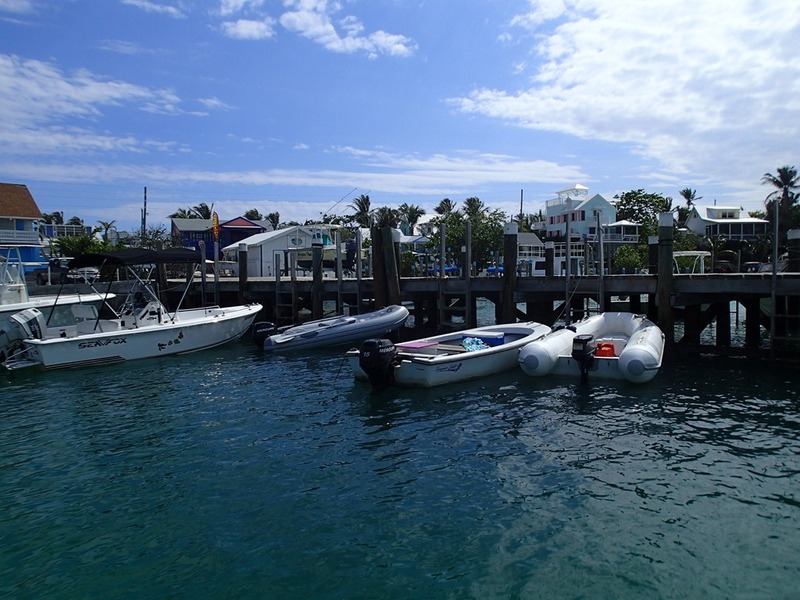 Although Hopetown harbor is not that big, the ferry often makes 5-6 stops at the various docks. Their captains are primo boat handlers. A barge brings in food, materials and other supplies. 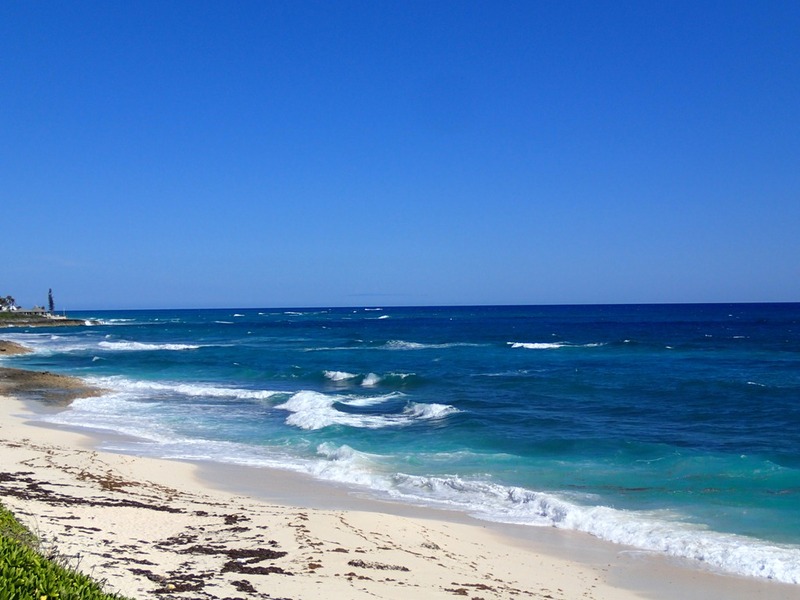 And if you walk a couple of blocks from the Hopetown harbor (they really don’t have blocks, just pathways every few houses), you are on the beach on the ocean side. There are many public access points. Many community events are offered, including softball games, fundraising dinners/luncheons/dances for important local causes, and frequent sailboat races. And artists’ workshops and a writers’ group. Yesterday I met a 99 year old woman who has been coming here from Cape Cod for 50 years and hopes to be here when she turns 100. She says her longevity is based on having a passion – a reason to get up each day. For her, it’s writing. “What,” I asked, “have you written? “Verse,” was all she said. 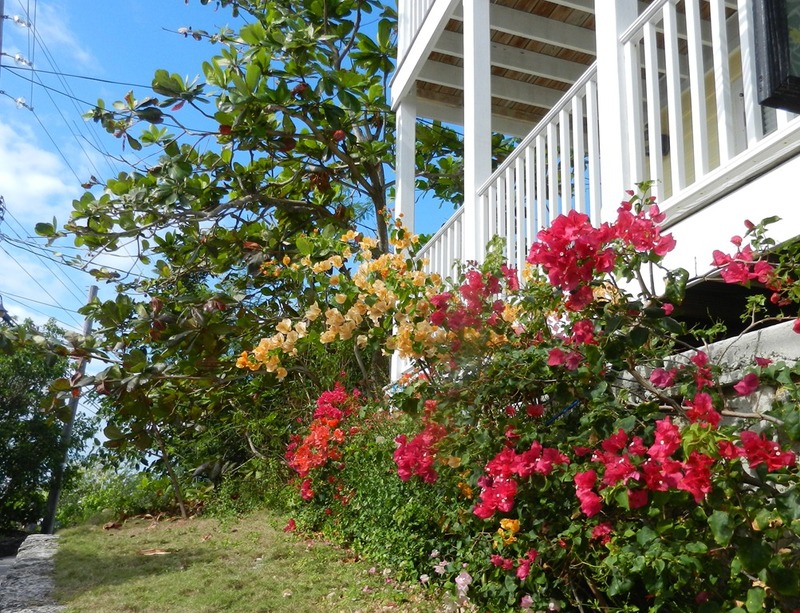 But she has also authored several novels about Hopetown in its early years. 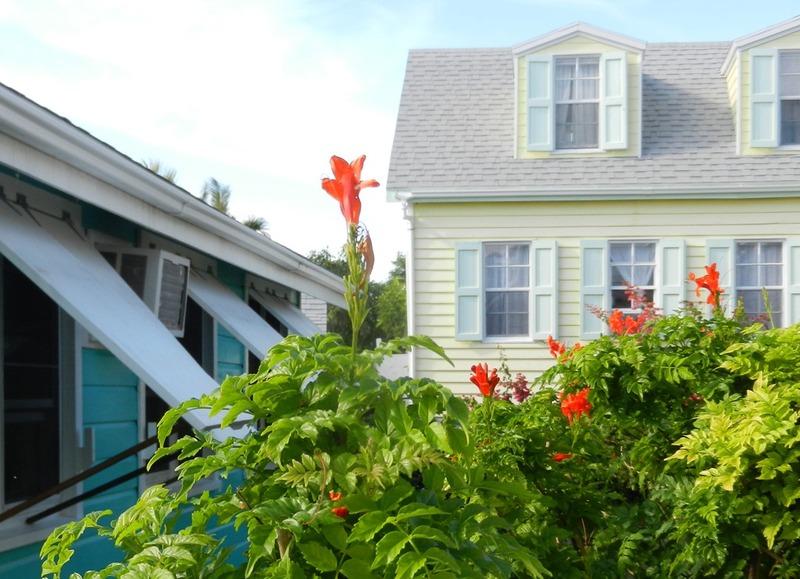 That’s part of the beauty of Hopetown. There are people of all ages here and everyone is unfailingly friendly, respectful and polite – both young and old. (It’s a refreshing change to be old, yet not invisible.) And NOTHING is a hassle – ever. Everyone says “hello” and “how are you.” People here are happy. So are we. What a wonderful place to be. Wish we were there with you! What a way to experience life. Please keep up the blog and pictures! So nice to learn a little community, and get to be a part of it! Put on my “places to visit” list! 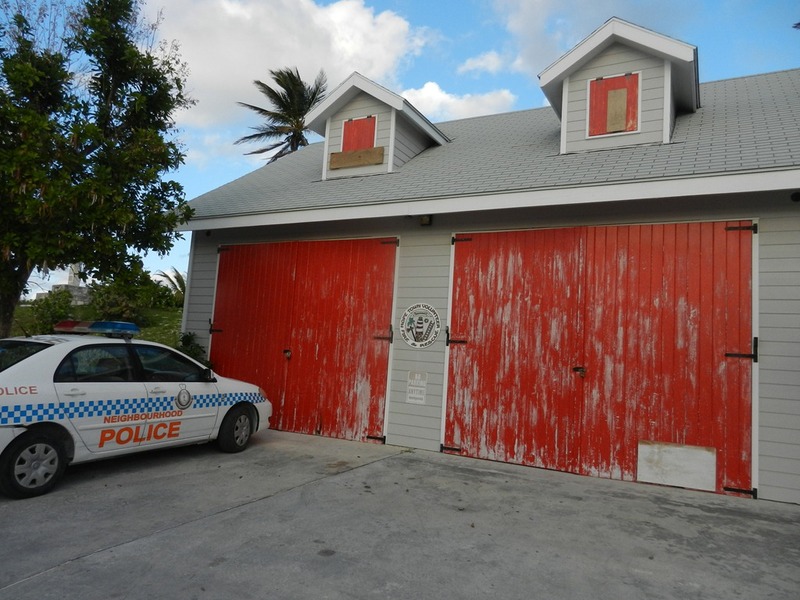 Wonderful piece on Hopetown. I, too, wish we were there! 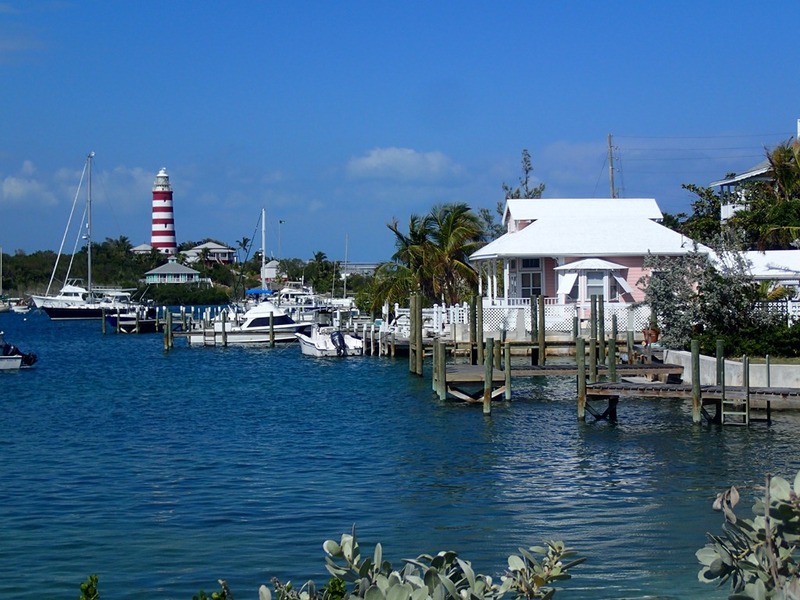 It sounds like you are enjoying the ‘community’ of Hopetown and how great to be able to relax and take advantage of people and places. I am so happy for you and am enjoying your posts. Please keep them coming. Love hearing from you – thanks.